Spacious caravan with one double and one twin. Shower. Spacious open plan living area. 2 Bedrooms which sleeps up to 4 people. Luxury wheelchair friendly caravan with two twin, one with sliding door and portable helper frame. 2 Bedrooms which sleeps up to 4 people. Spacious caravan with one double and two twin. Spacious open plan with 3 Bedrooms sleeping up to 6 people. 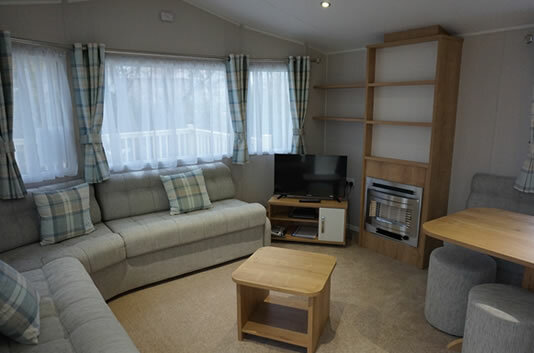 We have a choice of two stunning luxury caravans. Spacious and available in 2 and 3 bedrooms sleeping between 4 to 6 people. We are now very pleased to be able to offer 2 Gold Standard caravans which can accommodate 1 well behaved dog. 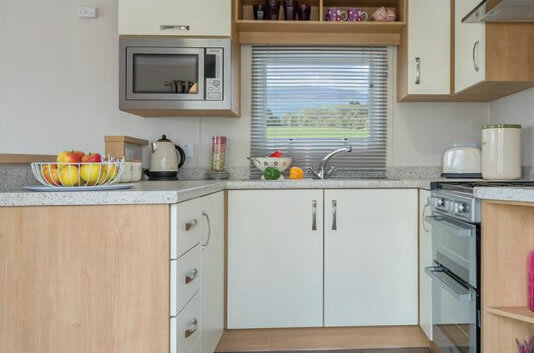 They are both new caravans which benefit from central heating and double glazing throughout. We also provide a dog bowl and bed for your pet to enjoy during your stay! With the Wales Coastal Path on our doorstep there are so many great walks to go on through your holiday! 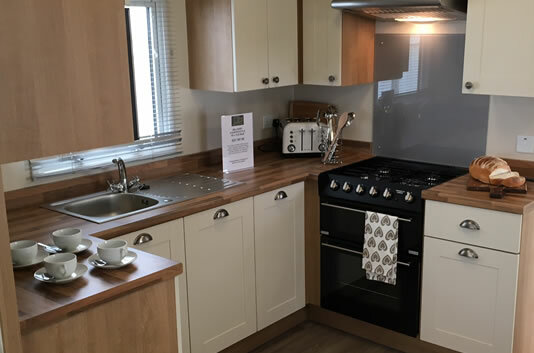 We are proud to now have a brand new Willerby Richmond with fantastic wheelchair friendly features- wide access, low threshold exterior door, sliding doors inside, wide access kitchen with low level cooker and sink, a full wet room with a fold out seat and support handles and the main bedroom features a portable helper frame. In addition to all these great caravan features, you are able to park your car right by the caravan and there is a new disabled access ramp for access. On the Park, we have step free access at our on-site Swn Y Mor Restaurant and Bar and step free access across to the Wales Coastal Path. We hope you agree this all makes Ty Gwyn a great choice for wheelchair friendly holidays! 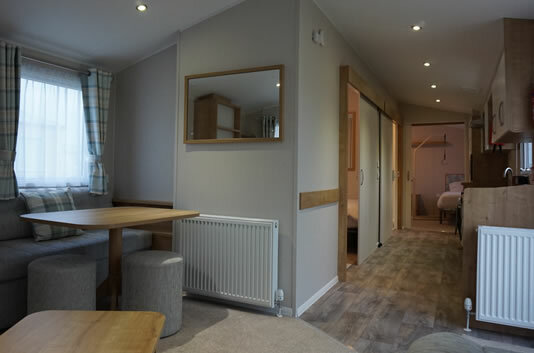 Our Gold caravans are all centrally heated and double glazed throughout. They are all either new this year or only a few years old and kitted out with all you need for your holidays. We also have a welcome pack with local biscuits, teas, coffees and toiletries. 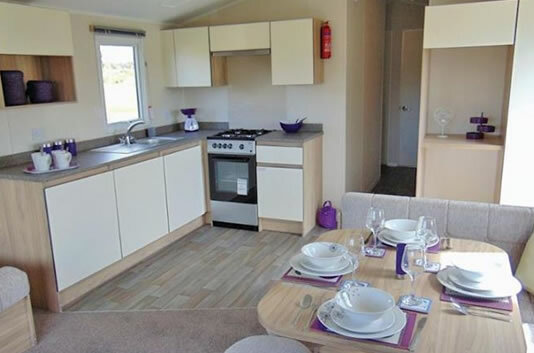 You can choose from 2 or 3 bedroom caravans. Two of the Gold caravans are also now available to customers with a dog. Please just remember your towels. 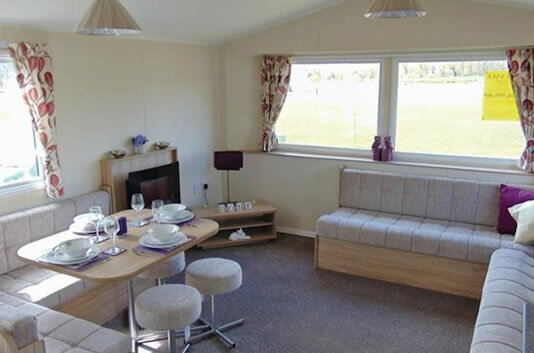 Our luxurious Platinum caravans benefit from a higher level of specification and comfort. All are new this year or only a few years old and kitted out with all you need for your holidays. We also have a welcome pack with local biscuits, teas, coffees and toiletries to help you settle in. You can choose from 2 or 3 bedroom caravans.